While money doesn’t grow on trees per se, we’ve found that precious gold does. Our scientists have revealed that gum trees from the Western Australian goldfields draw up tiny particles of gold via their roots and it ends up in their leaves and branches. The study published in Nature Communications today provides the first evidence of gold growing in trees. “The eucalypt acts as a hydraulic pump – its roots extend tens of metres into the ground and draw up water containing the gold. As the gold is likely to be toxic to the plant, it’s moved to the leaves and branches where it can be released or shed to the ground,” CSIRO geochemist, Dr Mel Lintern says. Prospectors be warned – the discovery is unlikely to start an old-time gold rush – the ‘nuggets’ are just one-fifth the diameter of a human hair and invisible to the eye. Yet, it could provide a golden opportunity for mineral exploration, as the leaves or soil underneath the trees where they have fallen could indicate gold ore deposits buried up to tens of metres underground and under sediments that are up to 60 million years old. “The leaves could be used in combination with other tools to get an idea of what’s happening below the surface without the need to drill. It could enhance gold exploration in a way that’s more targeted and environmentally friendly,” says Dr Lintern. 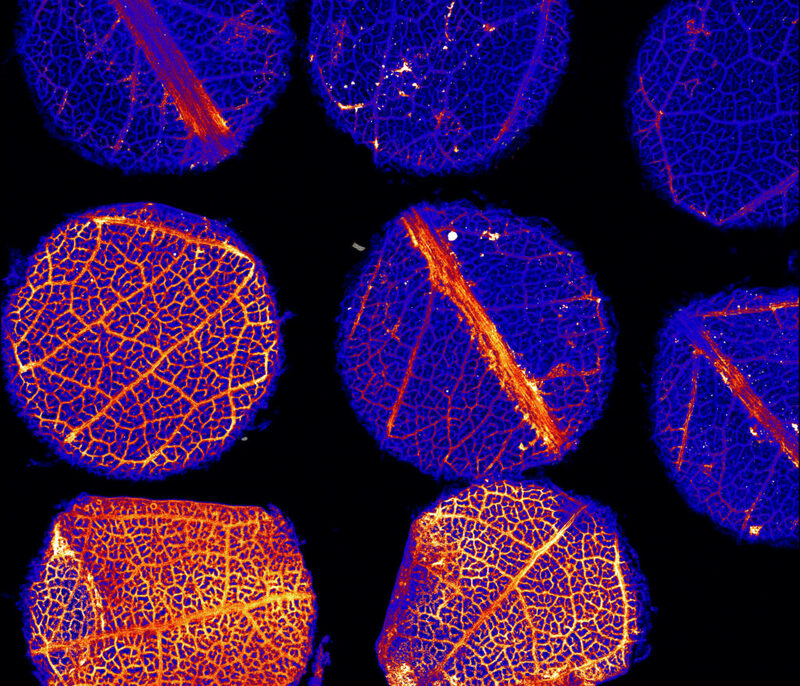 The research team used the powerful x-ray elemental imaging equipment at the Australian Synchrotron to locate and see the gold in the leaves. “By sampling and analysing vegetation for traces of minerals, we may get an idea of what’s happening below the surface without the need to drill. It’s a more targeted way of searching for minerals that reduces costs and impact on the environment. “Eucalyptus trees are so common that this technique could be widely applied across Australia. It could also be used to find other metals such as zinc and copper,” says Dr Lintern. Our research using natural materials, such as calcrete and laterite in soils, for mineral exploration has led to many successful ore deposit discoveries in regional Australia. The outcomes of the research provide a direct boost to the national economy. The presence of gold in gum leafs or even the soils they grow in would not necessarily imply that gold is present in mineable quantities, only that it is at least present in trace quantities. There are many more steps in the exploration process before any soil would be removed. That alone costs a lot and the likelihood of return has to be pretty certain to even justify the followup exploration processes, let alone actual mining. It would be advisable to look up some information on how much land area as a percentage of the total land available is directly affected by mining. To mine such areas, it would not be done by drilling, but by taking the surface off the soil, surely! What a frightening thought that even more areas could be mucked up.